Google+ Reviews are a great way to boost your online visibility, especially with your local audience. Just like other review websites (like Yelp and Trip Advisor) Google+ is a place where people can go online and rate a business. Businesses are missing out on a huge opportunity to boost local rankings if they don't make it a point to ask their happy customers for feedback on Google+. 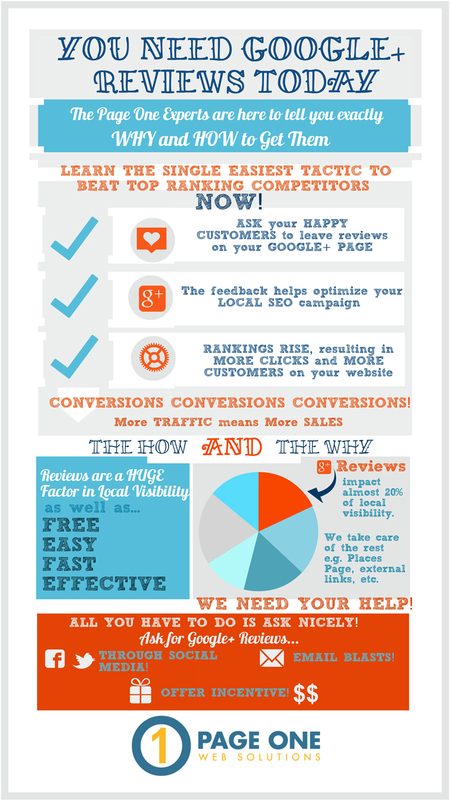 Check out this infographic on why Google+ Reviews are so important for Local SEO and how you can get them.